But dating the beautiful images - which featured in Werner Herzog's recent documentary film Cave of Forgotten Dreams - has led to an ugly spatbetween archaeologists. Could the bones of cave bears settle the debate? 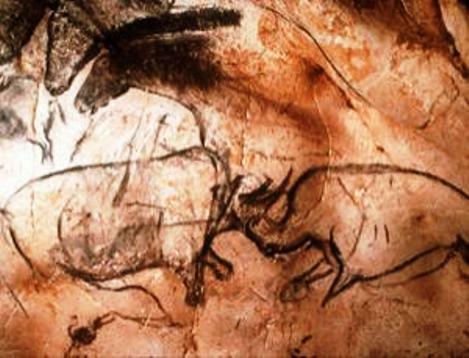 Despite a comprehensive radiocarbon study published in 2001 that seemed to confirm that the paintings were indeed 30,000 years old (Nature, DOI: 10.1038/35097160), Pettitt and his colleagues were unconvinced. Two years later they argued that the cave walls were still chemically active, so the radiocarbon dating could have been thrown out by changes over the millennia to the pigments used to create the paintings (Antiquity, vol 77, p 134). They found that almost all the samples were genetically similar, suggesting the cave bear population was small, isolated and therefore vulnerable. Radiocarbon dating showed the samples were all between 37,000 and 29,000 years old, hinting that by the end of that period they were extinct, at least locally. Samples from a nearby cave, Deux-Ouvertures, gave similar results (Journal of Archaeological Science, DOI: 10.1016/j.jas.2011.03.033). While we do not know exactly when cave bears became extinct, all reliably dated remains in Europe are at least 24,000 years old, says Martina Pacher of the Commission of Quaternary Research in Vienna, Austria. "So the results at Chauvet are not surprising, and I agree with their conclusions," she says. 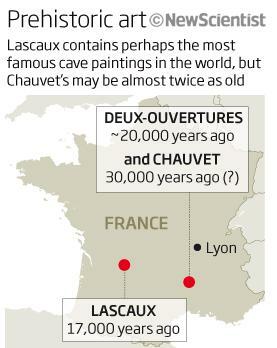 "We now have an independent line of evidence that the bears [in Chauvet] date to before 29,000 years ago," Lawson says. "That bolsters the case for an early date."